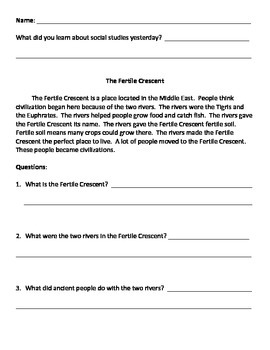 This printable document can be used with an ancient civilizations curriculum. These easy summaries are recommended for English Language Learners and low readers. This particular file includes eight summaries about Mesopotamia content, including "Civilization," "The Fertile Crescent," "Hammurabi's Code," "The Beginning of Writing," the Israelites, and the Assyrians. If you like this product, visit my store to see more like it.